SMAC Games discusses its trippy overhead shooter set in micro-Tokyo. Creating a cutting-edge vision for the future is difficult, especially given the numerous iterations of days to come that we’ve seen. 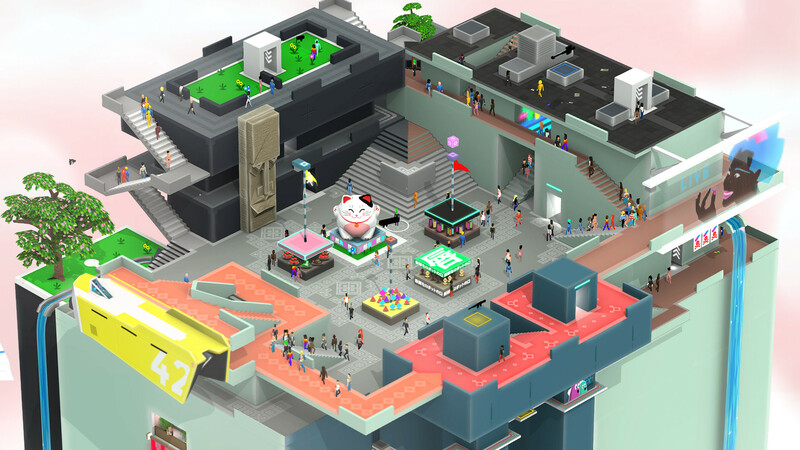 It’s interesting then to see SMAC Games’ Tokyo 42, a brightly-lit, pastel-coloured paradise of sorts that hides its fair share of assassins. With the top-down shooter premise colliding with micro-level design, Tokyo 42 is definitely one of the most unconventional shooters to emerge in recent years. GamingBolt had a chance to speak to Sean and Maciek, the two brothers that make up SMAC games with the former handling the coding and the latter in charge of graphics. If you’re on the fence about Tokyo 42 or just want to learn more about its zany approach, then read on. "Most games from this perspective are locked to a ground plane and for good reason, it makes for clean gameplay from a single camera angle. 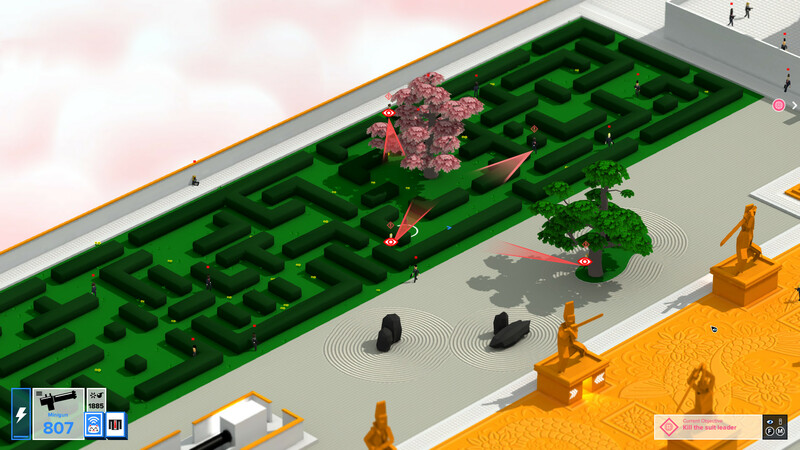 But in Tokyo 42 you can fight and traverse all over the place." The concept of a micro Tokyo to play around in is intriguing. What inspired the concept for Tokyo 42 and what went into properly capturing the aesthetic? Maciek: Well, this is our first game and we wanted to make something which had a classic feel whilst being new. So our first inspirations came from some older games like GTA 1 & 2, Syndicate and Worms. One of the defining characteristics of those older games was their perspective, which is pulled right back so you have this wide view of the world. We really loved this old perspective and wanted to do something new with it whilst getting gameplay which felt like a step forward from those with smart AI and physics based weapons. In terms of Tokyo and why Tokyo, we both have a strong love for all things Japanese and it felt only right to set our first game in Tokyo. The city has inspired so many of our favourite films and games and styles, so it only made sense. Basically because Tokyo is the coolest. One of the stereotypes of Neo-Tokyo is the dark neon filled alleys and markets of films like Bladerunner and Ghost in The Shell. We wanted to do something different and light it all up with colour some humour. Because we crafted the environment of this Tokyo by hand we had to use fairly simple forms and rely on the more graphic style this gave us as opposed to realistic. Compared to your average overhead shooter, how does Tokyo 42’s micro-setting influence gameplay? 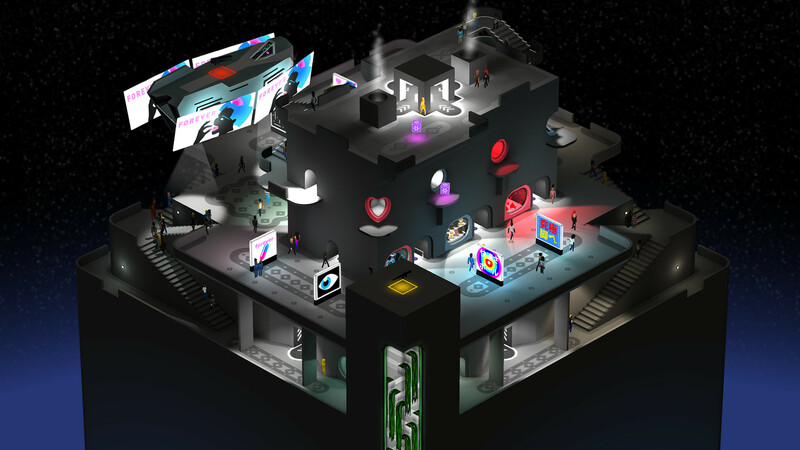 Maciek: I think the major innovation that we’ve done with Tokyo 42 is going fully vertical. Most games from this perspective are locked to a ground plane and for good reason, it makes for clean gameplay from a single camera angle. 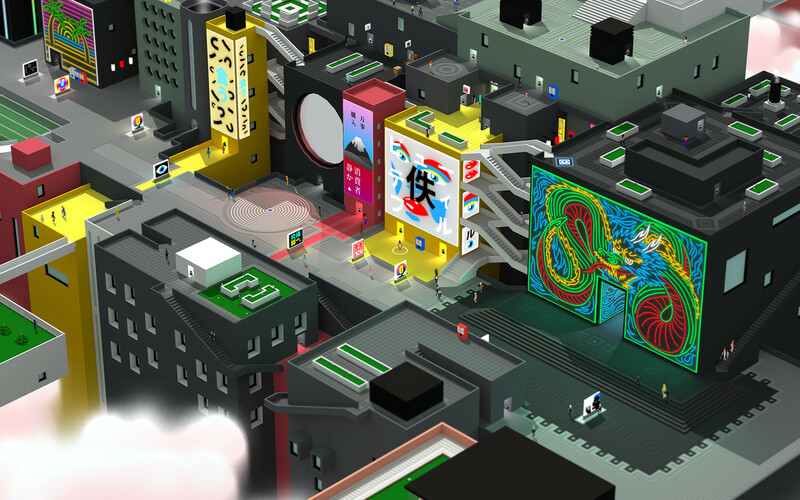 But in Tokyo 42 you can fight and traverse all over the place. What this has meant is that we had to come up with a new vertical shooting mechanic and also give the player the tools to view this world from different angles sometimes changing at high speeds. 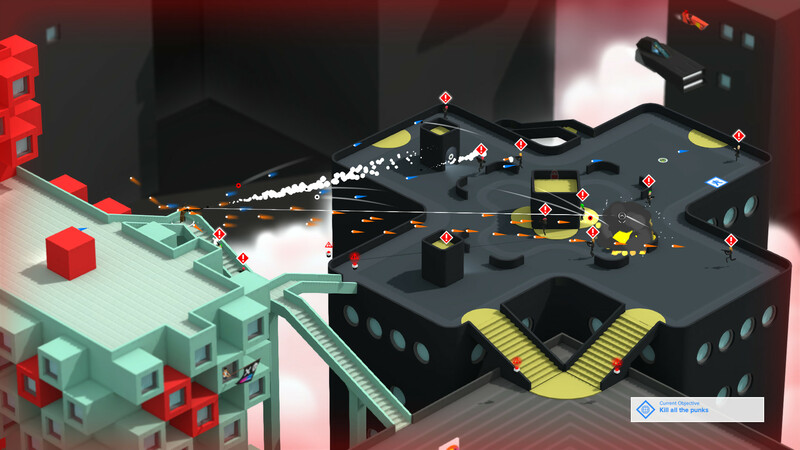 So in Tokyo 42 you’re spinning the camera and bouncing grenades off walls above you and sometimes finding far off sniper spots. It’s been quite challenging but very satisfying having to invent these new ways of playing in what might look like a classic game. Was there a concern that, for a shooting game, players would have a tougher time lining up shots when everything is so small? Or does this simply emphasize using the environment all the more? Sean: I wouldn’t say it is a concern as much as it is just a part of the gameplay. The bullets in the game do not move at such a rate that you cannot dodge them, and the player does have the ability to zoom in up to a certain point. We’ve done our utmost to make sure that the player does not get frustrated or feel hard done by through difficult shooting mechanics. "There is a main story arc that the player can follow from start to finish if they so choose, but at any point in between these missions they are able to embark upon a separate side quest line or explore the world as they see fit." Gameplay trailers showcased a number of bystanders present during fire fights. Can you tell us how crowd simulation plays a role in the overall experience? Sean: The crowds in Tokyo 42 serve a few functions. Firstly they provide the feeling that the world is alive, as you will find yourself when you pass a crew of people having a chat, or looking over a ledge, or making a comment about the weather. Secondly, in multiplayer and during certain circumstances in the Open-world, the player will need to be aware of the possibility that any member of the crowd around then may be a nemesis assassin, hunting them down. The single-player has been described as “open world”. Will players be able to go wherever and pick up side quests or complete different activities? Sean: There is a main story arc that the player can follow from start to finish if they so choose, but at any point in between these missions they are able to embark upon a separate side quest line or explore the world as they see fit. Maciek: Yeah, there are also a series of guard posts which you can approach sort of at your leisure (sometimes you may need to get past them to get to your next mission) and there may be roving gangs of enemies who are itching for a fight. What secrets can enterprising players find? Are there new weapons, items and so on waiting to be discovered? Sean: Secrets being what they are, I won’t spoil too much – but yes Weapons, accessories, skins, wacky interactions etc. are included with the secrets available. Maciek: Some pickups will require you to be quite creative about how you traverse the world, so treasure hunters should have some fun trying to get-em-all. How long will it take players to complete the campaign? How long will it take to find everything that Tokyo 42 has to offer? Sean: A dedicated player who sticks to the main story line exclusively will be able to finish the game in between 5 & 7 hours depending on skill. We’ve been impressed by the futuristic rooftops and art style of the locations. What other locations will players explore? Maciek: Tokyo 42 is entirely set on rooftops so the basic style remains the same throughout the game. But the different factions in the game have different ideas about how they want to live. For instance you will find yourself later in the game in a forested area run by a nudist faction called ‘The Commandos’. Each faction has it’s own rooftop area with it’s own style. "We’ve got some pretty rad ideas on how we’d like to expand on this world." What kind of multiplayer modes are in store? Sean: We are releasing the game with the deathmatch mode only, but have plans to expand that into a number of new modes, including: Team Deathmatch, CTF, T42 Royale. Maciek: Yeah, our deathmatch is where we actually started when developing Tokyo 42. It’s a pretty interesting take on the arena brawler in that there is crowd stealth. So when you spawn, you hidden in the crowd and you have to try and find your enemies. Once you’ve spotted them you can either tail them and wait for an opportunity to strike or you can engage with whatever weapon you may have. Them the game becomes a brawl until someone dies and the loop can begin again. So sometimes it’s really tense, especially when you’re just up against one friend, but other times it’s pretty intense combat with grenade flying around and skill coming to the fore. Will there be post-launch updates or paid DLC in the future? Sean: We have a few content additions already lined up, yes. Maciek: We’ve got some pretty rad ideas on how we’d like to expand on this world. I guess what exactly happens depends quite a lot on our release and how people receive it and perhaps what they’d like to see more of. Sean: We have been in the fortunate position of having an external developer handling the ports to the consoles. His name is Alex Darby of Darbotron ltd, and he’s been able to create a platform layer wherein we have had to do as little as possible. That said, there is no such thing as a free lunch and in order to get the game running properly on the consoles there was a very long period of extra optimization that occurred on our side. This was very challenging and we ended up making a number of fundamental decisions based on the console requirements. Will PS4 Pro users get an enhanced experience while playing the game? If so, what kind of graphics improvements are you working on? Sean: The PS4 Pro users will be able to run the game at 4k resolution. "In my opinion, not much from the console world will affect the PC games market, but I may be mildly bias." What is your take on cross play between PS4 and Xbox One? How difficult it’s and do you think Sony should reconsider its policy of not allowing cross-play with Xbox One? Sean: In my ideal world, all platforms would be able to play with all platforms, but sadly the truth is that technology can be limiting, and large companies will have their own exclusionary agendas. Sean: In my opinion, not much from the console world will affect the PC games market, but I may be mildly bias. I’ve always been a PC gamer so I sort of view the ability to scale my desktop up to the highest possible spec as a no brainer when coming to choose where to play my games. The game is planned for the PS4. This indirectly means that it will also be coming to the PS4 Pro. What is the planned resolution and frame rate for the same? Sean: As mentioned above, the PS4 pro users will have 4k resolution. The frame rate will not change from the regular PS4 version. "I’d say that anything is possible, but currently T42 is CPU-bound, so any extra RAM wouldn’t necessarily enable us to increase the frame rate to 60fps." Sean: I’d say that anything is possible, but currently T42 is CPU-bound, so any extra RAM wouldn’t necessarily enable us to increase the frame rate to 60fps. That said, it’s untested so let’s see. As someone who has worked on the Xbox One, what is your take on the system’s eSRAM? I know that a lot of developers had trouble optimizing it in the past but how are things with it now? Sean: I can’t really speak to any issues directly related to eSRAM, but we didn’t experience any of the issues commonly reported with eSRAM. And furthermore, the Scorpio won’t have any eSRAM to deal. Does it make development matters easier? Sean: Perhaps, but again I wouldn’t make any definitive comments on the matter.